Casa Green at Bukit Jalil was a small boutique development launched in 2015 by Amber Homes – a developer based in Cheras. Click here if you want to read our previous review on Casa Green Bukit Jalil. 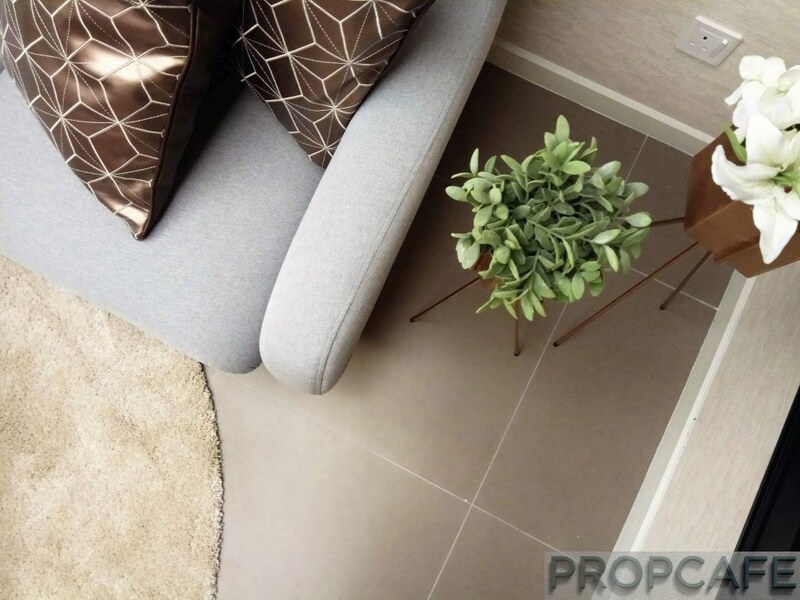 PROPCAFE™ knows very little about Amber Homes and their actual products prior 2015 but started to catch our attention when their project of Casa Green Bukit Jalil did gain some fame for them. Casa Green Bukit Jalil (total units of 980) was sold out within a very short period including their RUMAHWIP was not spared. The scene of BBB (Buy Buy Buy) at Amber Homes sales gallery in 2015 still vivid until today. Amber Homes said the sales was beyond their expectation; overseeing the crowd swamping into the sales gallery surrounding the scaled model. “They bought Casa Green Bukit Jalil as if like buying vegetable in the market” according to the developer. Today while still living in their past glorious moment, the developer has been asking me the same question whether did they sell below market price back then? on my face I answered. Although Casa Green Bukit Jalil was a new milestone for Amber Homes but the fact is we know as little as you know about them. There was no show unit for Casa Green Bukit Jalil, not much of information available from the Google search and not that many past projects available where we can actually do a cross referencing at least to our standard. Casa Green Bukit Jalil was sold out merely based on few big posters hanging on the wall, few pages of A4 sized brochures, scaled model and of course the sales and marketing pitching talk. If I were the first-time home buyer, I might be getting a bit nervous. As the time is approaching nearer to the date of Vacant Possession, most often the feeling of anxiety and curiosity on the end product will grow much especially for the first-time home buyer. Most of the time, we will be disappointed 😀 . We tend to have higher expectation due to the influence of the fancy marketing materials or the sweet talk from the sales person. If you want to avoid disappointment, please do more research and home work prior signing off on the dotted line that require your life time commitment. Lack of knowledge and due diligence will not only limit yourself exposed to higher risk but also the worst-case scenario which is being scammed. For those who want to be safer, you might want to consider another option where to buy ready completed products from the Build-To-Sell scheme projects or sub-sales secondary market. Then again it comes with different kind of surprises – The limitation of preferred choice, higher cost of purchasing and the selling price not definitely but more likely to be higher as compared to initial launching price. 1. Self-Evaluation & Planning -> 2. Information and Data Research -> 3. Property Analysis -> 4. Decision Making -> 5. Payment Execution -> 6. Vacant Possession/Keys collection -> 7. Defects Inspection -> 8. Rectification -> 9. Shopping & Renovation -> 10. Fine Detailing -> 11. Monitoring & Observation -> 12. Maintaining. Stage 2 – Information and Data Research where normally people tends to get stuck here due to difficulty in harvesting information and lack of information available to the public especially property related as compared to other consumer class which is more popular like car, electronic gadget, fashion, food and traveling. It can be quite frustrating when we cannot reach deeply for information related to property especially on the final actual products itself. 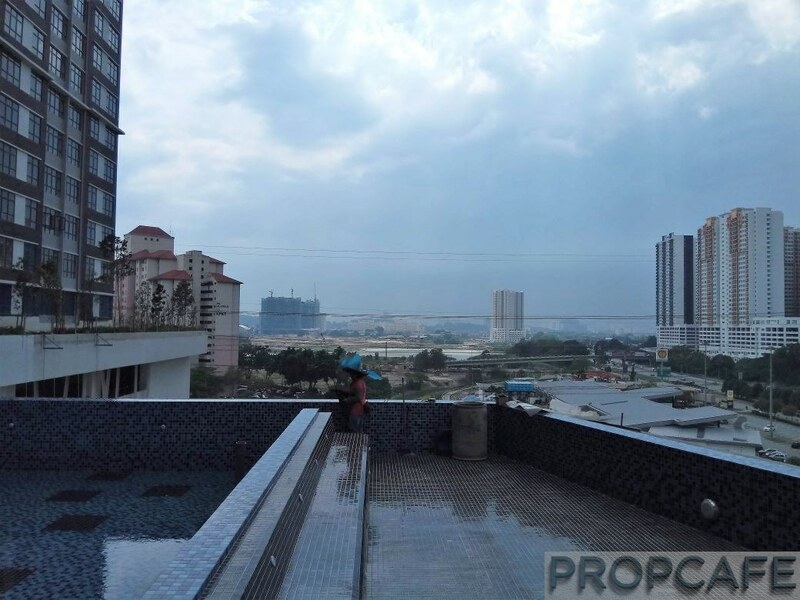 There are few major property portals in Malaysia keeping us updated on the latest news or information related to property but most, if not all, of the information is touching the surface where we personally think it is inadequate. These portals are often being perceived as an online platform for Buy, Sell and Rent and not as main source of detail information for new or existing development. Stage 3 – Property Analysis where people will be having quite a struggle due to lack of experience, knowledge and resources before reaching to the next stage which is yet another kind of different challenges to them. 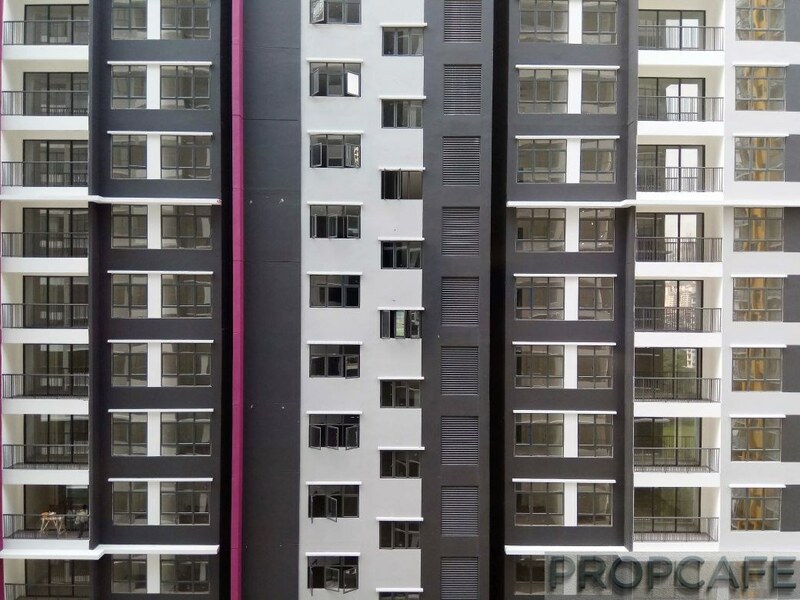 This is where PROPCAFE™ playing our part to fill in the gap by sharing our PROPCAFE™ Review. We hope that one day PROPCAFE™ will be able to fill in this gap as much as possible to make the experience of property buying journey becomes more enjoyable, pleasant and convenient by sharing our reviews regardless of upcoming new projects or actual completed products. 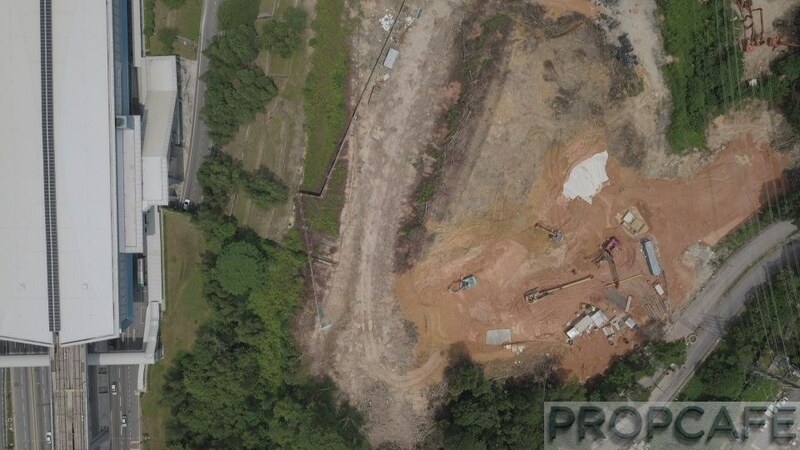 As for now, we hope this article will be able to fill the small gap between for those who are keen to know more about Casa Green Bukit Jalil as well as about the developer – Amber Homes . In this article, we will share with you on the actual product of Casa Green Bukit Jalil itself although is still ¾ cooked. We managed to sneak in for a close-up site visit of this project which is still under construction. 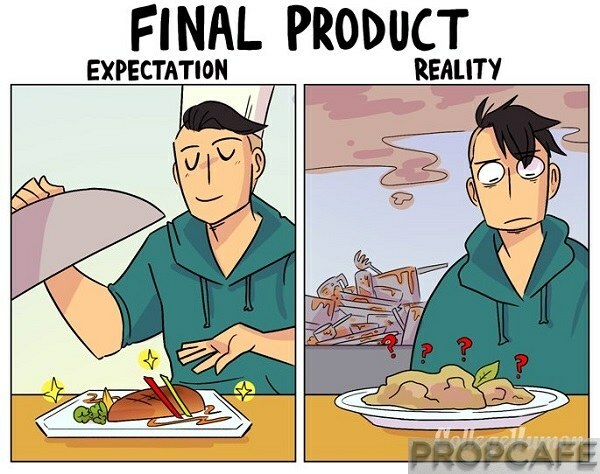 Please do not expect that this article will be similar to our “PROPCAFE™ 360 Degree View” type of review where we usually cover only when it is fully completed for hand over. 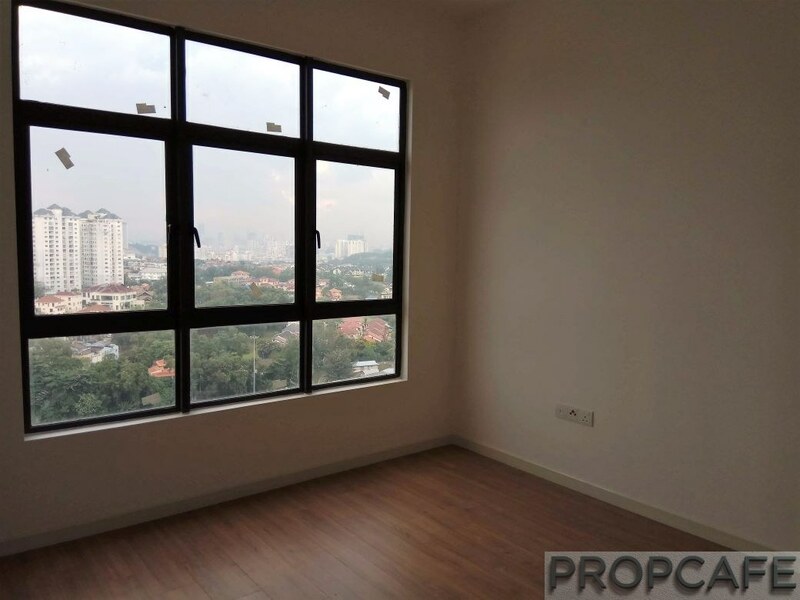 Casa Green Bukit Jalil is supposed due to be handed over around in May 2019 but based on our last visit on 18th April and if there is no unforeseen circumstances; it should be ready somewhere in 3Q 2018 with Amber Homes proven track of records where their projects usually will be delivered earlier than expected. There are few reasons why we do a sneak peak on this project now even it is not yet completed for hand over. 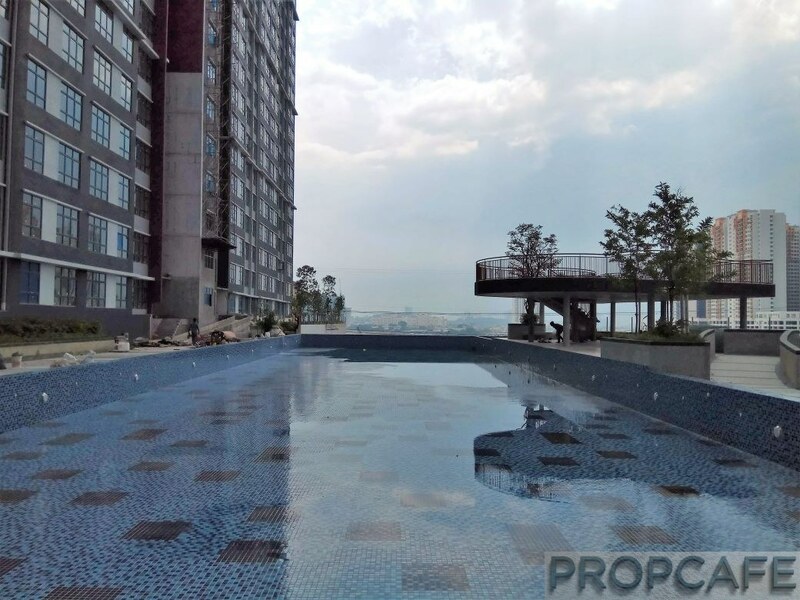 Firstly, we know that there are some Casa Green Bukit Jalils’ buyers very eager to know and can’t wait until end of the year to see their baby. Secondly is because we have received a strong request from our readers for a PROPCAFE Review on Amber Homes latest development. 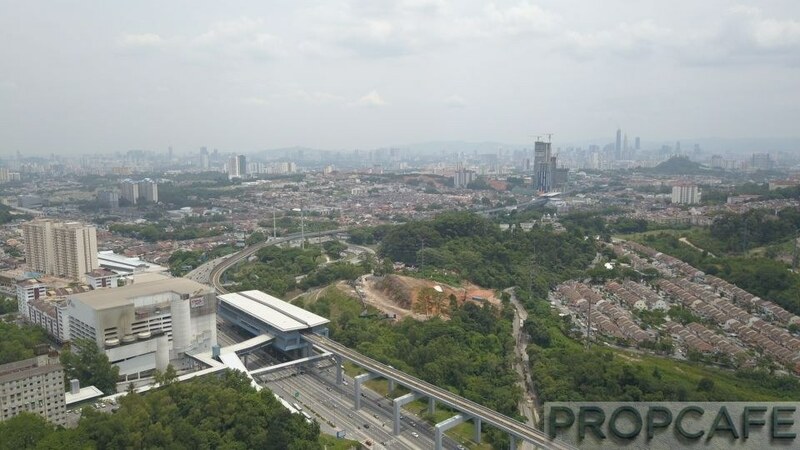 After waited for 3 years since the launched of Casa Green Bukit Jalil in 2015, Amber Homes had finally launched their new transit-oriented development (TODe) with direct linked to MRT Station Taman Connaught SBK26 at Cheras – Aster Residence. 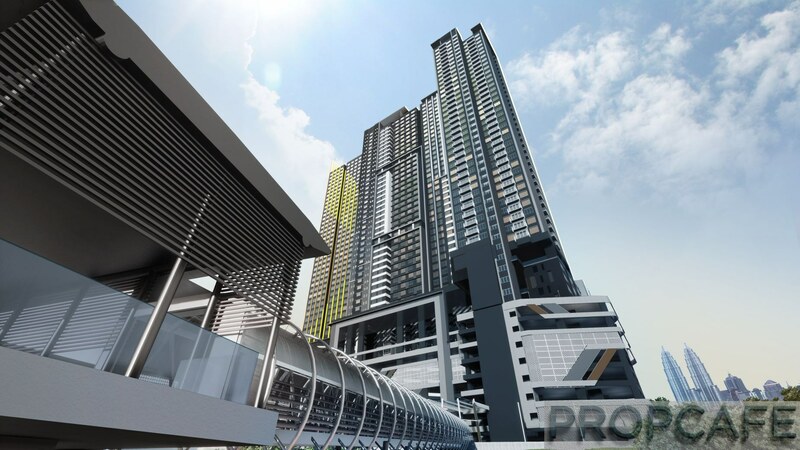 Yes, we hear you and before we jumping straight to the review of Aster Residence perhaps we hope this article will give you all some insights of the developer by using their latest current ongoing project Casa Green Bukit Jalil as a reference. This might not be the best but it should give you some pointers on their Aster Residence Cheras which is a different class from Casa Green Bukit Jalil. The access road to guard-house and drop-off area in front of Casa Green Bukit Jalil. You can see that developer is planting trees on the pavement to curtain off the view of the light industrial lots. Overall the façade does not seem deviate much from the scaled model. It is not the best but it is reasonable for its price range and acceptable for its class of development. We think the colour scheme could be better. We are surprised on the distance of the support column to the next column is spanned quite a distance (9600mm from centre to centre of the columns where the car park lot size is W2400mm x L4800mm) away from each other. 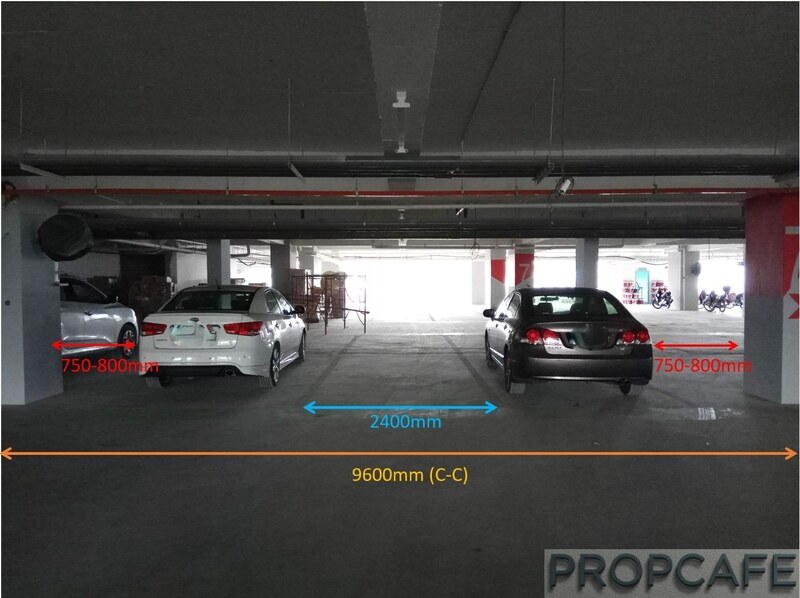 It is good news to those owners who own the car park lot which located beside the beams as compared to the in the middle. From the photo, you can see how generous the space is given from the beam to the car (approximately 750-800mm)where you can fully open the car door without hitting the column. It will be a great advantage when some time if you want to load bulky items where require your car door to be fully opened and not to mention that making parking easier for someone like me who is clumsy and not good in parking. It is not a must or anything which is crucial but it is good when the developer is being generous. There are just some developers willing to make the distance from column to column as close as possible to have more parking. The moment you enter the facility on the level 8, you will see a lot of water elements as per the scale model where almost occupying 50% of the total floor area. It is not really a big area so you see everything with one glance and you definitely won’t miss the 17m x 50m outdoor Olympic full-length infinity swimming pool. We could not manage to see the 4000sf indoor gymnasium due to it is still in progress. The facilities are not state of the art but we believe are sufficient for the residents and practical for day-to-day use. At this point of reading, most probably you might had forgotten the price tag for this development and we will remind you again of that later. The view from the facility floor of Kesas Highway is quite nice if you don’t mind the noise. The first thing that amazed us was the yard area. It has been some time that we have not seen such a large yard area (for Type B, C and D with 2×1 tiles on the floor except Type A) given the price tag of this property. When we are talking about the real cooking here, the dry kitchen alone itself normally is not enough for the Asian way of cooking. That is why that many of us will look at the opportunity to add on a wet kitchen at the yard area if possible. All bedrooms come with laminated wooden flooring while the living hall, dining and kitchen area comes with 2×2 mirror polished /high gloss porcelain tiles (except type A). I can’t comment much on the quality of the workmanship but with a quick glance, it is not perfect but it seems fine with me with some minor defects and probably because I had seen the worst in my life. For quality of workmanship, you really can’t tell in one day or two, you need to live there for a period of time to monitor on it. 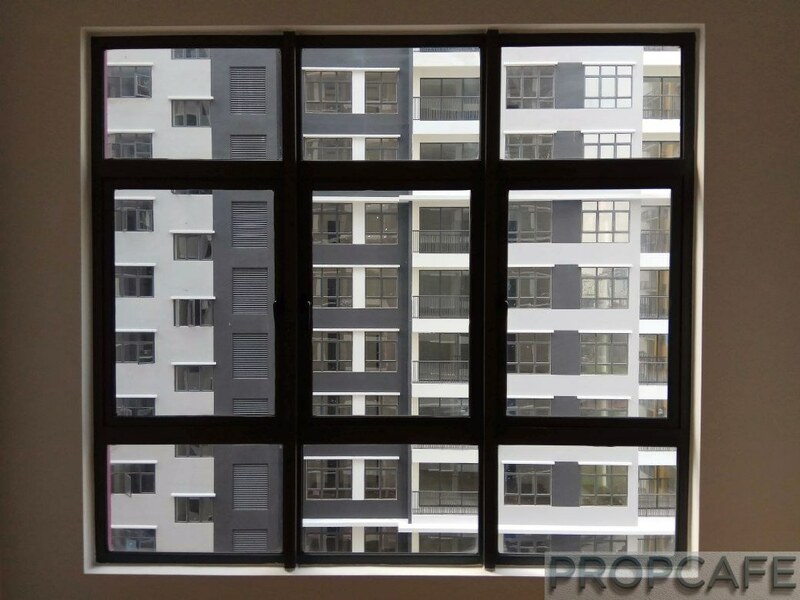 One of the thing which I like most is the large window panels and the sliding glass door. Amber Homes really max out the window glass panel area as much as possible including the window at the toilet area and kitchen. All master bedroom’s window ( and Type D Bedroom 1) come with a 3-piece glass panels window while the rest of the bedrooms come with a minimum of 2-piece panels glass window. Although it is good to have a large window and large sliding glass door to maximize the natural lighting in to your unit but you need to face other issues such as cleaning, and the increase cost of curtain blinds and grill due to larger area. The other small tiny little thing which I noticed was all the doorway frame come with architrave ( except Type A) which is uncommon today for property priced at this range due to cost saving. Architrave is mainly for cosmetic purpose. 1. (in classical architecture) a main beam resting across the tops of columns, specifically the lower third entablature. 2. The moulded frame round a doorway or window. 2.1 A moulding round the exterior of an arch. 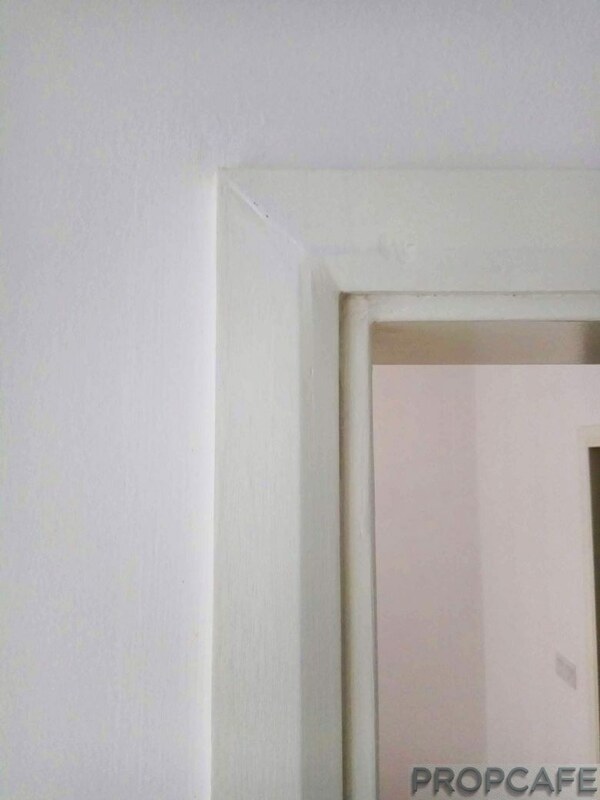 Architrave is the decorative timber moulding fitted around the casings of internally doors, windows, and loft hatches – the purpose of architrave is to hide the joint between the wall/ceiling and the timber casings. It also hides any subsequent shrinkage and movement between the two. All bedrooms including the living hall comes with pre-installed air conditioner units (except Type A). You can save a lot of time and hassle on this. In addition, all units come with broadband ready which is becoming a norm and basic requirement for any new development today. We will leave the photos to do the talking from here. Enjoy! *Without Balcony & Air Conditioner Units. There are few area where we think can be further improved and some can be easily done. First of all, we noticed the absence of door stoppers in all units. Owners might want to consider to install it by themselves to prevent the door knob from further damaging their wall. You never know if someone as strong as the Hulk might cause a hole in your pocket! From our observation, the overall development seems like lack of landscaping and green feature. We doubt there is much area for the green by looking at the design and the size of the development but it would be quite unfair to comment about this now since it is yet to be completed. Shall we revisit it again after completion? The Block A RUMAWIP’s corridor with cement flooring and only partially tiled in front of the unit entrance is rather a bit unaesthetic but we think it is compensated with better fitting and finishing of the unit given that the price of the RUMAWIP Type A 825.16sf comes with 3 rooms + 2 bathrooms is about RM300,000 nett . Although we had visited many completed projects but for Casa Green Bukit Jalil RUMAWIP is our first time under RUMAWIP development so we can’t really have much references for comparison in the category of RUMAWIP. Nevertheless, if you were given a choice, which would you choose – a pleasant corridor or a better built, fitting and finishing home? Inside or Outside? 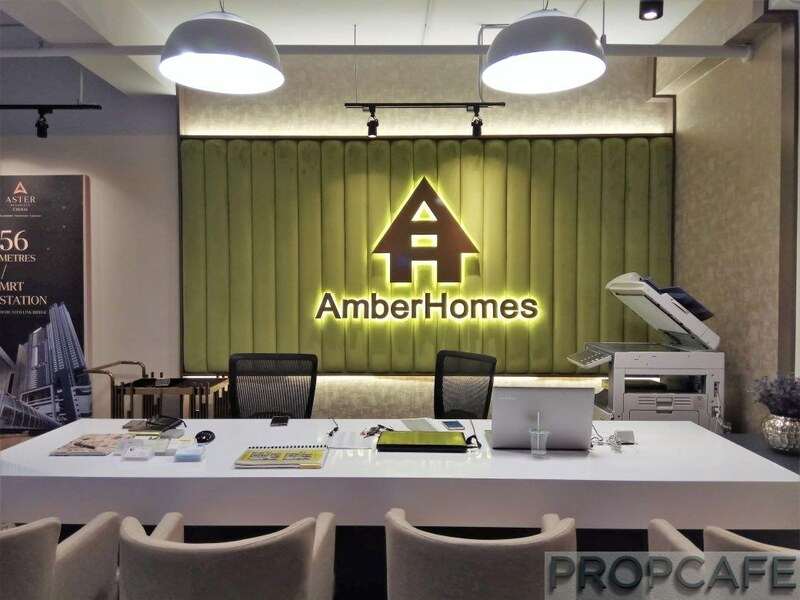 Amber Homes might not have a big database or famous developer like other big boys in Malaysia nor their projects are known to many people but that does not mean their product, quality and customer service are any inferior to other major developers. From a one-day site visit, the actual product seems does not deviate much from the scaled model or their marketing material. Amber Homes has delivered as what they had committed on the paper so far. 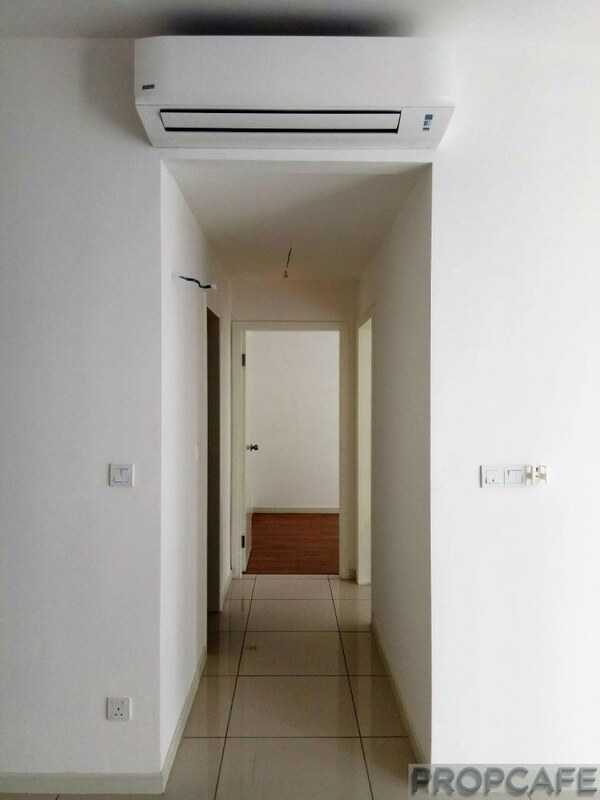 For quality wise in term of defects like water leakage or other structural defect, we cannot give much comment on it because usually this kind of quality issue will only surface after a period of time when owner starts living in the unit. If there is any major issue or defects, we hope Casa Green Bukit Jalil’s owner willing to share their defects with our readers here in the future by commenting below here. At this juncture of reading, some of you probably might have forgotten the price tag of Casa Green Bukit Jalil. 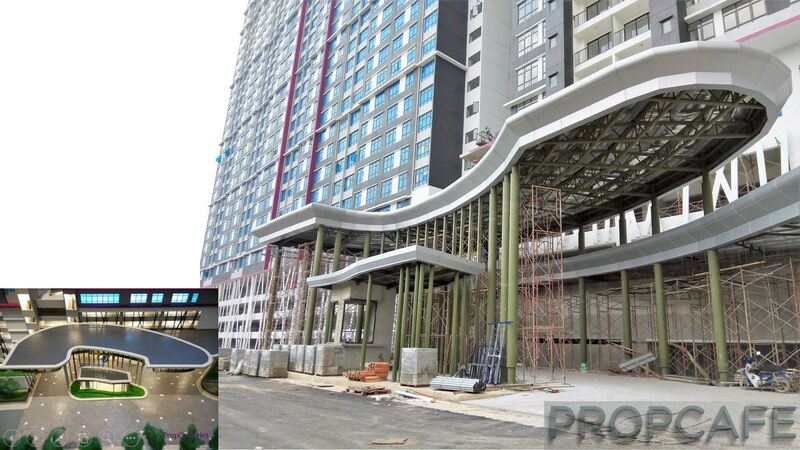 We would like to refresh the readers again that the product we are seeing here today which is located at Bukit Jalil was priced at RM300,000 nett or ~RM364 psf for Type A 825.16 sf (which fall under RUMAWIP category) and RM440,000+ to RM460,000+ or ~RM460 psf for Type B 1003.49 sf and Type C 1003.20 sf which comes with 3 Bedrooms, 3 Bathrooms and 4 air conditioner units. 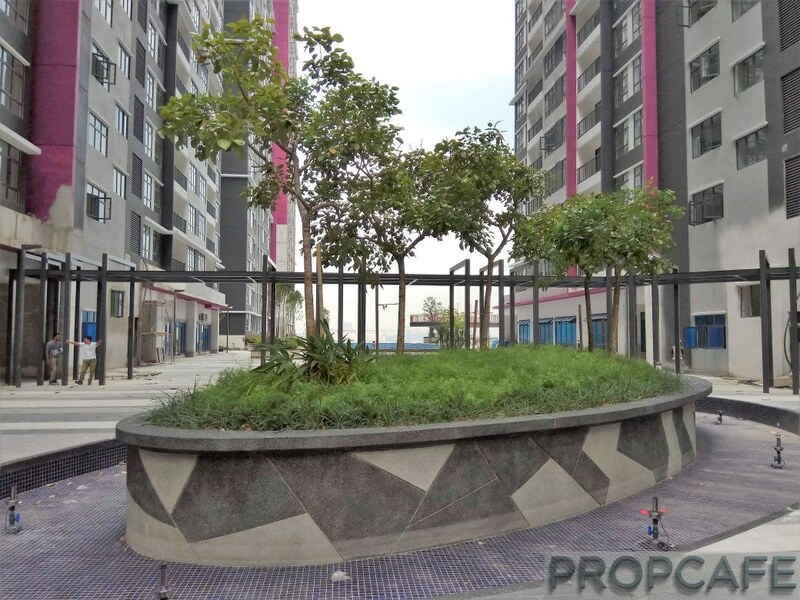 As a summary from what we gathered here using Casa Green Bukit Jalil as our reference, Amber Homes is those developers who strongly believe in building a practical home and not just a house. Amber Homes would rather invest more on practicality, comfortability, safety and product quality as their main priority and putting the aesthetic requirement as secondary for the given budget to work around. When come to marketing, high chances it will be the last thing which the developer will really fancy at. In addition, aesthetic elements usually are fragile, costly and require high maintenance which come with a price. In our opinion, at the very beginning Casa Green Bukit Jalil was not meant for this market segment of home buyers who are seeking for “aesthexotic” (aesthetic + exotic) development. We think that explain a lot on most of the developments by Amber Homes until today are those non-fancy type of development but rather just an ordinary and practical from inside to outside. All in all, we think the actual product of Casa Green Bukit Jalil is quite worthwhile product given its location and selling price. We hope that this review able to give you some insights of the developer and their final products but please bear in mind, our advise is that this can only be used as a reference and should’t be set as the benchmark for future development. Im Block A owner, really not happy with corridor cement, if compare with skyawani and puchongmas, their all fully tiles, really not good for owner. I feel like low cost flat now. It is really unfair to buyer. This is not Pr1ma and PPA1M. I think this is a very good sharing and lesson. 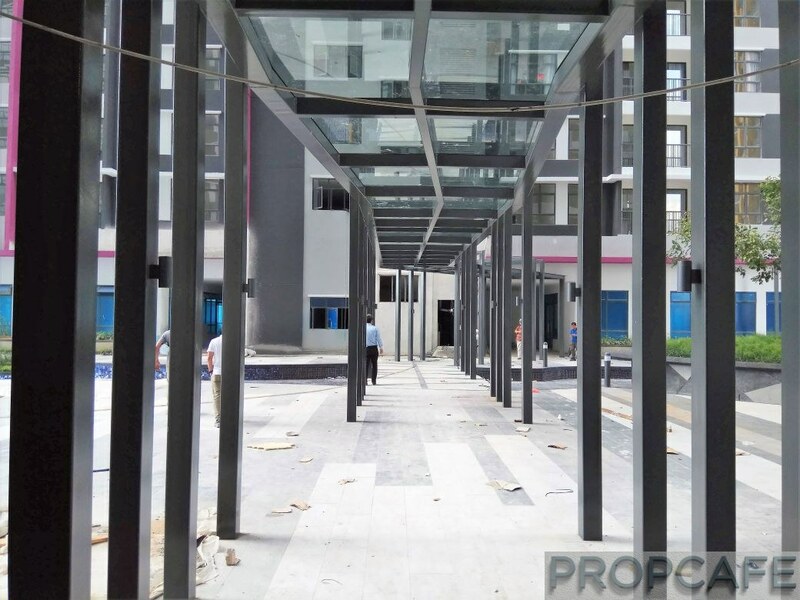 Recently Malaysian home buyers are quite sensitive towards the finishing of the corridor where most of the developers tend to overlook it and not in their priority. Developers perhaps is time for you to make some effort on making your corridor acceptable to our Malaysian standard 🙂 but what is the Malaysian Standard? Even the RM1k psf project also can’t make everyone happy. 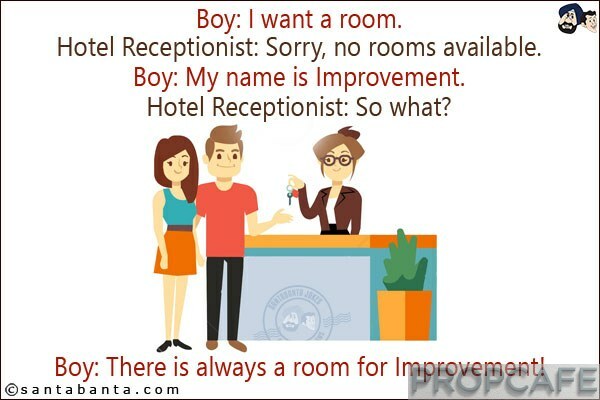 It is a good point to take note here.. you might want to ask the details of the corridor’s finishing before signing the SPA if that is really your Deal Breaker. Hi AhPaul. Thanks for leaving a comment here. Our bad that we did not take the photos of the foyer area at the unit’s entrance. 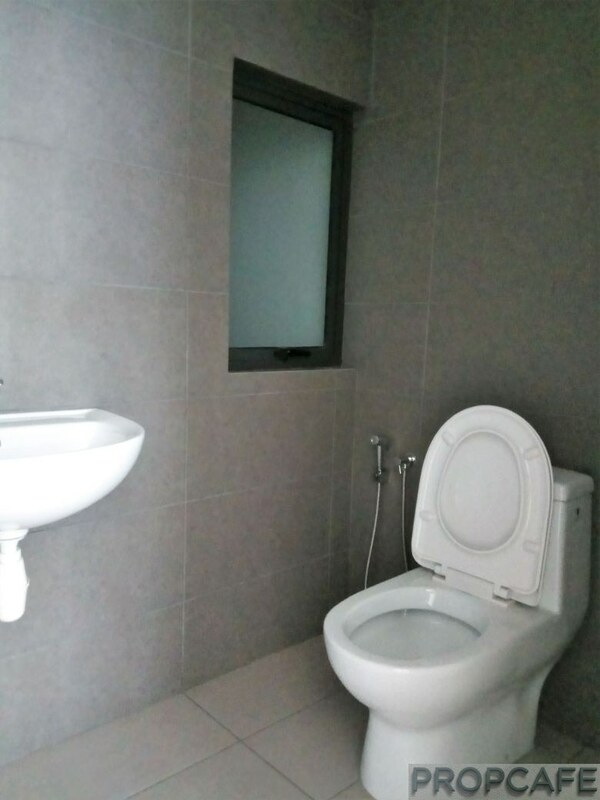 If what you referring is the space at the foyer area in between the main entrance door and the corridor where normally owner build shoes cabinet is as per this photo https://i1.wp.com/propcafe.net/wp-content/uploads/2018/05/Casa-Green-Bukit-Jalil-Type-A-Entrance.jpg?fit=780%2C1040/ ? If it is same as what you mentioned earlier, then Yes. All units come with this foyer area in front of their main door entrance. We only shared type A main entrance area under the section “The Actual Unit Gallery” above. Hope that is what you meant. Have a nice day. We notice that there had been a lot of concern and voices regarding the final end product of Casa Green Bukit Jalil. There is one thing that you might miss out from this write up. Like what we mentioned and pre-warned earlier in our write up that this is a sneak peek preview because this project is NOT completed and yet to be delivered. At the time of this write up, the current project is yet to be completed and not final. It is still under construction and very far from the date of VPed. More over those unit we visited are those few units on one of the highest floor therefore you might notice the absence of the some fitting items, incomplete corridor and etc. This article is meant to give you a feel on the product at the point of writing as well as keeping you updated on their progress of construction. We will update this article and keep you posted on the progress from time to time especially about the matter of the incomplete corridor of 28th Floor Block A. So if you don’t want to miss anything, you can subscribe to us by email here or follow us on our facebook or instagram. Thank you for your understanding and your patience with us. im one of the owner in Block A, not happy with the corridor without tiles. if other rumawip projects can do, why not Amber Homes? I went to pay my utilities deposit somewhere in Jan 2018 the people the was very friendly explaining about the renovation package. its very expensive around 17k. surveyed outside and its way cheaper. they even promised owners will get the keys by end May. when i call them again yesterday, they said refer to your S&P. looks like it might delayed. As for the corridor, for the benefit of doubt we have to wait until handover to see because it is still yet to be completed. We only say a project delayed when the time handover is exceeding as per SPA to be on the fair side and anything before as per stipulated in the SPA can be considered early VPed. Thanks for your sharing. May i know is there Casa Green Bukit Jalil have unsold unit from developer? Im keen on that, if anyone know can please e-mail me? Thanks for your comment, as far as we know this project is 100% sold out and no remaining unit. You can try your luck either calling the developer directly. 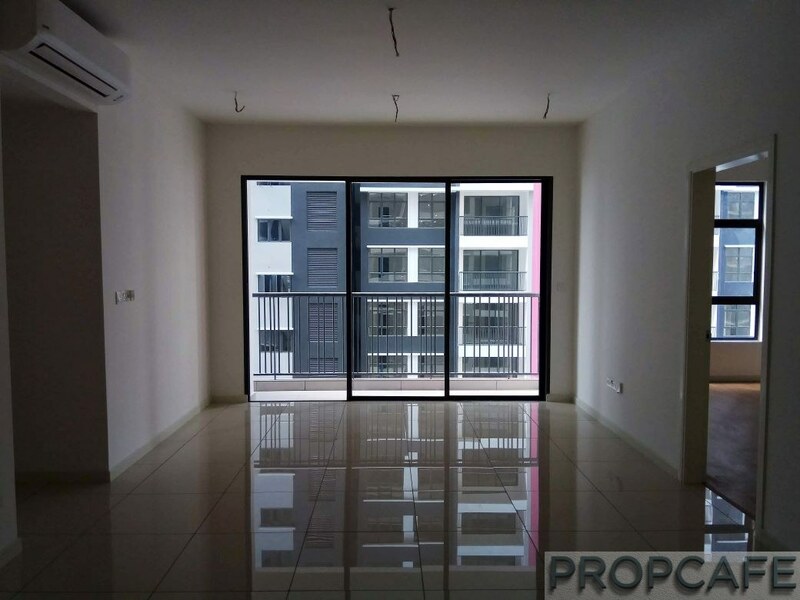 The contact is as mentioned in our previous write up https://propcafe.net/casa-green-bukit-jalil-amber-homes/ . Maybe you can buy from the subsales market. For not missing any of our latest review or news from us, please do subscribe via e-mail which is foc or follow us on our fb to catch up with the Malaysia property market 🙂 good luck! Hi…I would like to know whether block A bedrooms come with laminated wooden flooring too?